LONG ISLAND, NY – “Drug dealers are no longer the primary source of heroin and opioids. The main source is now physicians (some, not all), who while possessing good intentions, over-prescribe the painkillers which have been the major cause of this national heroin and opioid epidemic”, Dr. Simon Zysman, one of the nation’s most prominent and well known clinical psychologists in the treatment of the addiction to heroin and opioids (the most commonly prescribed pain medication), told NewsLI.com in a recent interview. 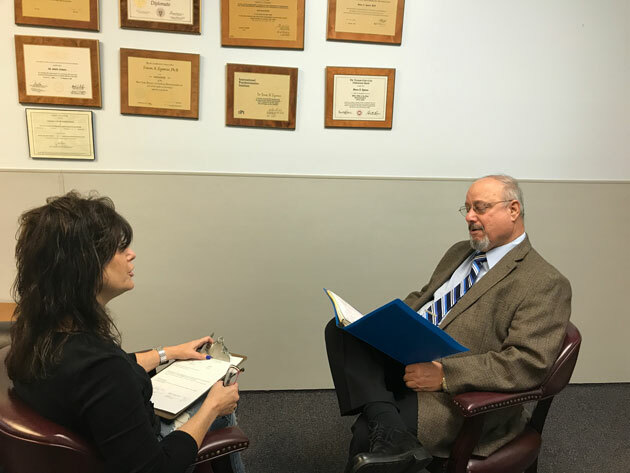 Dr. Zysman discussing a patient file with drug counselor, Jan Solomon. Photo credit: Employee Assistance Resource Services Inc. The “national heroin and opioid epidemic” to which Dr. Zysman was referring is currently responsible for the deaths of approximately 100 Americans a day, a frightening number, higher even than the amount of people killed by firearms and automobile accidents combined. In fact, since this addiction reached epidemic proportions three years ago, an estimated 100,000 people have died, with the victims, studies show, coming from every ethnic, religious, racial, professional and age group, and from every state in our nation. “The scourge of heroin and opioid addiction does not discriminate. It destroys the lives and kills people of all backgrounds. White collar, blue collar workers, Blacks, Whites, Hispanics, Asians, South Asians, Native Americans, Muslims, Jews, Christians…. The facts from numerous public and private studies do not lie. Opioid and heroin addiction are today the number one source of substance abuse related deaths in America”, Dr. Zysman stated. 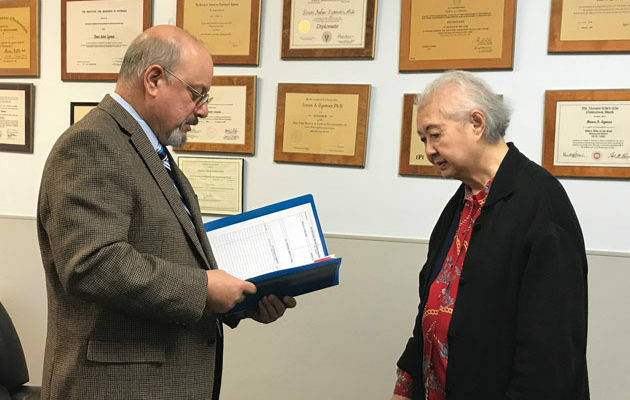 Dr. Zysman also appeared to have the facts on his side supporting his claim that this addiction can be attributed to the failure of some physicians to be more careful in prescribing opioids and other narcotic pain killers. Citing a recent study conducted by the National Institute on Drug Abuse (NIDA), he noted that a large majority of current heroin and opioid users surveyed disclosed that their first introduction to opioids was through their physicians, who had legally prescribed the drug to them as an, at the time, needed pain medication. However, according to the study, when their doctors decided they no longer required pain relief, many were already addicted to opioids and thus resorted to buying them or getting heroin on the black market from drug dealers. “What a nightmare for these people, the majority of whom were once respected and productive members of their community. First, they become addicted to prescribed opioids…. and next some find themselves to be law breakers, purchasing drugs illicitly”, he stated. Dr. Zysman conferencing with staff. Photo credit: Employee Assistance Resource Services Inc.
Dr. Zysman has attempted to put an end to this man-made nightmare. 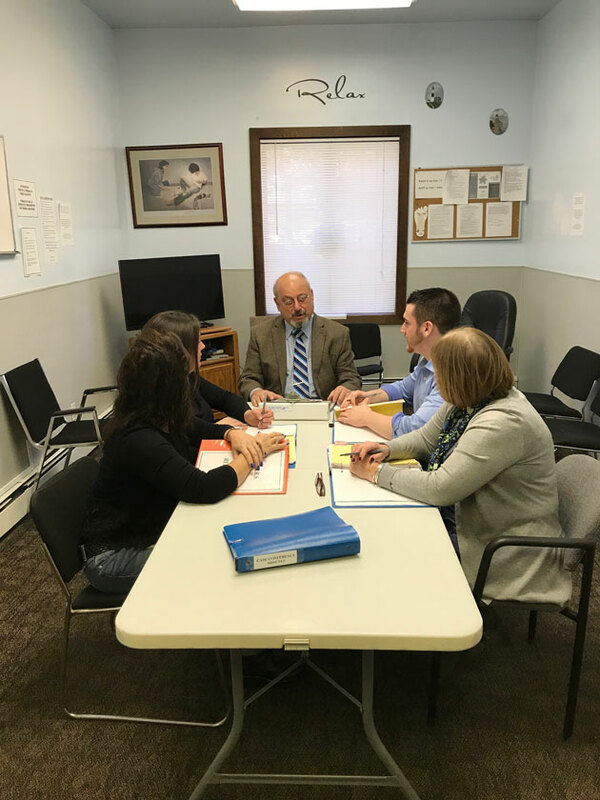 Through the work of his outpatient clinic, the Employee Assistance Resource Services Inc. (EARS), located in Suffolk County, he has waged a battle against heroin and opioid addiction which has won him recognition from his peers throughout New York State. Founded as a drug and alcohol addiction center in 1986 by Dr. Zysman, EARS, with a current success rate of 70-90%, has been recognized by the New York State Office of Alcoholism and Substance Abuse Services (OASAS) as one of the most successful opioid and heroin treatment centers in the state. That success rate, contended Dr. Zysman, who since EARS’ inception has served both as its executive director and president, can be attributed to an integrated multi-specialty approach the clinic provides to the approximately 100 patients it treats at a time. EARS, he stated, combines the use of the drug Buprenorphine in coordination with the diagnosis and treatment provided by its medical staff, consisting of a team of psychiatrists, internists, psychologists, social workers and alcohol abuse counselors. Dr. Zysman elaborated that after EARS physicians began treating patients with Buprenorphine in 2007- a time that the opioid and heroin addiction crisis was still in its early stages – the clinic’s success rate soared from 3-5 % at the time, the national average for such treatment, to its current annual 70-90% success rate. “Like our counterparts throughout the state and nation we were not obtaining the results we desired from our treatment program [in 2007]. So we looked for a new method to improve our treatment, and we found it with Buprenorphine. From there, I believe it is fair to say, our documented success rate speaks for itself”, Dr. Zysman maintained. Dr. Zysman discussing patient with EARS psychiatrist, Dr. DelCastillo. 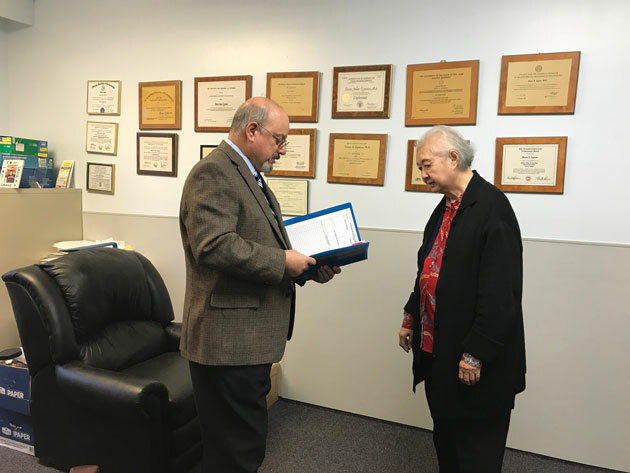 Photo credit: Employee Assistance Resource Services Inc.
That clinical treatment includes EARS’ medical and mental health care staff diagnosing and then treating what are determined to be the underlying causes of the patient’s drug addiction. “We identify and then treat the conditions – such as medical or mental disease, and, or, an emotional or social problem which might have triggered the addiction. From there, the clinicians develop an individualized treatment plan specific to each patient’s needs. It is this individualized and holistic approach that has resulted in EARS’ tremendous success in treating our patients”, Dr. Zysman contended. Officials of OASAS are aware of that success. Two years ago at their request, Zysman began writing a soon to be completed book which he titled, “Successful Heroin/Opioid Addiction Treatment”. Its purpose, he explained, will be to serve as a “how–to-book” for clinics and clinicians treating opioid and heroin addicted patients. 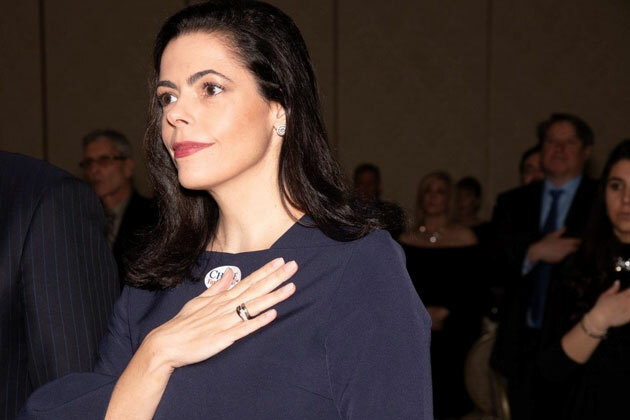 “I hope that sharing the methods we successfully employ at EARS will prove beneficial in the fight against the horrible disease of heroin and opioid addiction, which, tragically, has taken so many lives”, Dr. Zysman stated. Let’s hope and pray that it does. Robert Golomb is a nationally and internationally published columnist. Mail him at MrBob347@aol.com or follow him on Twitter @RobertGolomb. VIDEO: Democratic Lawmaker Sheldon Whitehouse Criticized for Comparing Trump Nominee To "Horse"